Working Mommy Journal - Page 2 of 314 - Family, Reviews, Healthy Living, Photography and More! 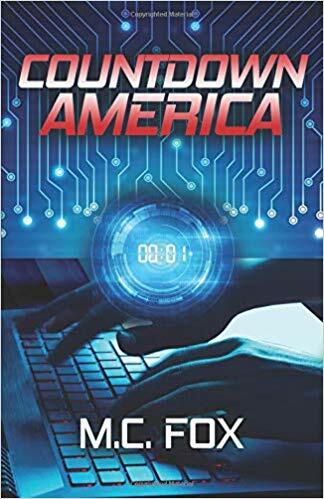 In Countdown America, Isabella fights her way through assassins, cyber-terrorists, and duplicitous fellow agents, leading her to uncover a Russian threat that is hell-bent on destroying the United States. After the loss of her husband, CIA agent Isabella Bendel accepts a promotion to Chief Supervisor—a much less dangerous position than what she’s accustomed to—so she can raise her two children without fear of leaving her children without any parents. But any illusions of safety are shattered when, while on her Sunday morning jog in a Washington, DC park, Isabella survives a brutal assassination attempt. She hauls her assailant into CIA headquarters, confident she can get to the bottom of why he was after her. Her blood runs cold when she learns the truth… as he was trying to take her out, armed terrorists abducted her children and mother right out of her home. Pushed to the brink of what any mother can endure, Isabella calls on all of her training and deadly skills to get her family back. During this mission, she fights her way through assassins, cyber-terrorists, and duplicitous fellow agents, leading her to uncover a Russian threat that is hell-bent on destroying the United States. I fell in love with this fast paced, intense story that will keep you on your toes from start to finish! In this story we have a strong, independent female character, Isabella Bendel. She is the Chief Supervisor of the CIA and came into this role because of her quick thinking, gut instincts, knowledge and strength. We also learn of the death of her husband due to cancer shortly after the birth of their twins. This gives an element of fragility to an otherwise incredibly strong woman. We dive into quite the plot as Russian forces are determined to destroy America. There are so few people to trust in this story and at times we are left questioning why would any one want to cause Isabella harm? Why would they want to kidnap her family? What is her connection to the attack? Once her family is kidnapped, Isabella goes into fierce battle mode and will do anything to get them back. With the amount of people she can trust on one hand, her world is constantly shattered as we turn the pages. Will she be able to save them? Will she stop the Russians? This was one intense and full of suspense novel. I never saw the twists coming (which I love!). My heart was sore for our main character but wow is she one tough cookie. She never gave up hope and fought to the end. You admire her determination, her strength and her ability to trust her instincts. You are left on the edge of your seat praying that her family is okay and she makes it there in time. This is a definite must read novel – I could not put it down! As a writer, I’ve long been fascinated by the world of espionage. Working as an accountant in New York, I’m constantly inspired by the sights and sounds of a large city, and how that forms the perfect environment for a fast-paced thriller. Given our currently unstable political climate, as well as the Russian hacking of the election, I knew that now was the time for a spy story set in the world of political cyber-espionage, led by a fierce female protagonist. 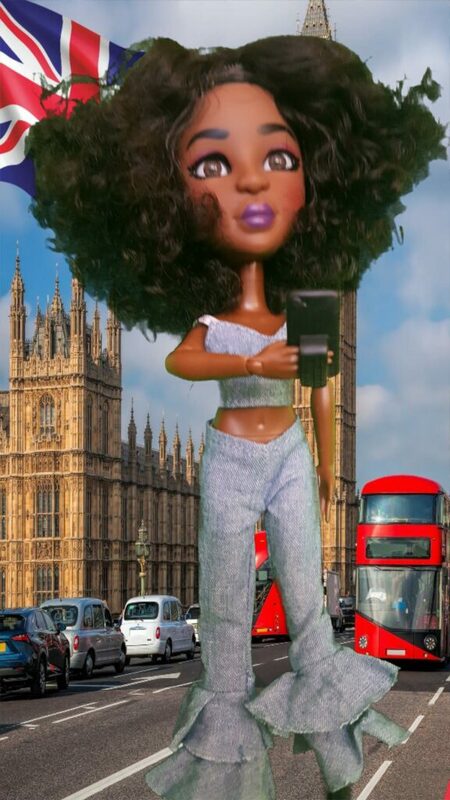 I remember as a child spending hours dressing up my dolls, creating new outfits and hair styles. I loved every moment of it! Dolls have come a long way since then – they have a new style, personality and the technology to show off your own unique designs. The possibilities have become endless. 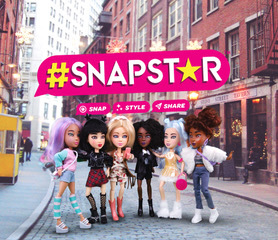 The #SNAPSTAR squad has embraced this technology and created a unique and exciting new line of dolls for young fashionistas. 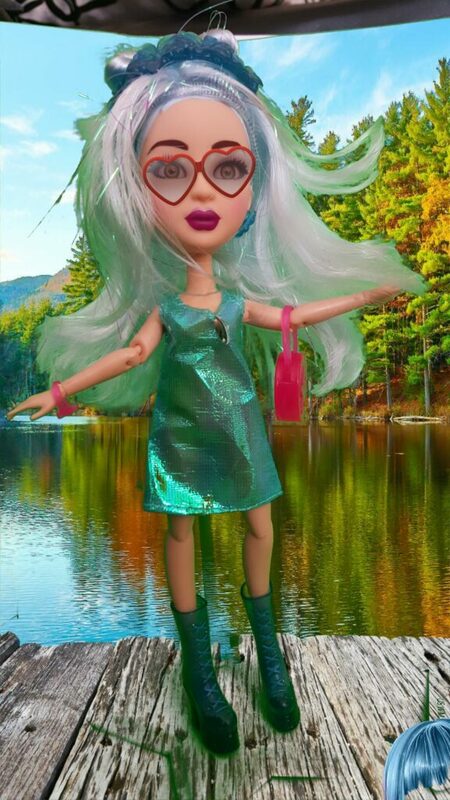 The #SNAPSTAR squad is a line of six dolls that are fully poseable and come with a full outfit, accessories, removable hairstyle, green screen and stand and a cell phone! They each have a very unique personality that you can match your child’s interests and personality to to give it that personal touch. Dawn, The Fashion Diva: high powered, high fashion who knows what she wants and always gets it. She is constantly rubbing elbows with celebrities at the most exclusive events. Echo, The Bedazzle Babe: a dreamy girl who floats through life with an easy attitude and outlook. She has the grace of a mermaid and is a hair and makeup pro! Aspen, The Wanderlust: a wide-eyed wanderer who is always on the go and doesn’t mind living out of a suitcase. She wants to see the world and invites her followers to travel with her. Lola, The 99% Unicorn: a ball of positive energy who sees the positive in everyone and everything. She is bubbly and everyone loves to be around her. Yuki, The Turnup: a feisty chick who marches to her own drum. She loves music and DJs. Izzy, The Master Crafter: is a green girl who loves the environment and recycling. She loves hosting crafting parties. 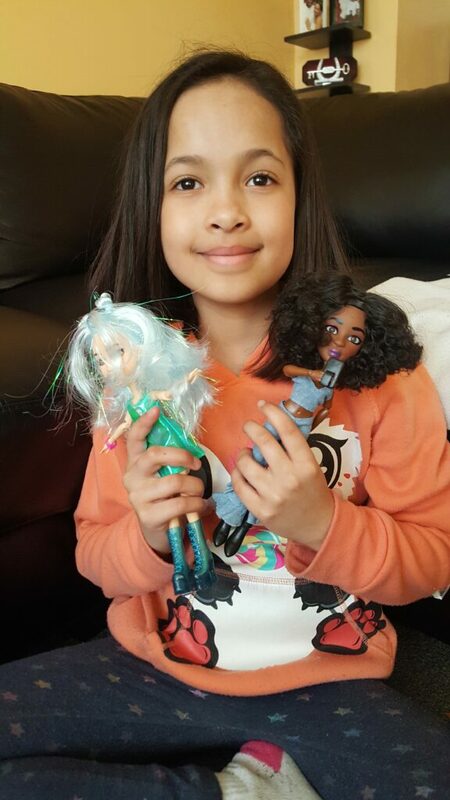 The dolls were a big hit with my niece and she sent me screenshots of her designs. I was so proud of her! Using the app (and her Mom’s phone), she was able to turn her doll in a star. You can change the background, hair, makeup and so much more. You can save them to your phone to share with others and upload to social media. 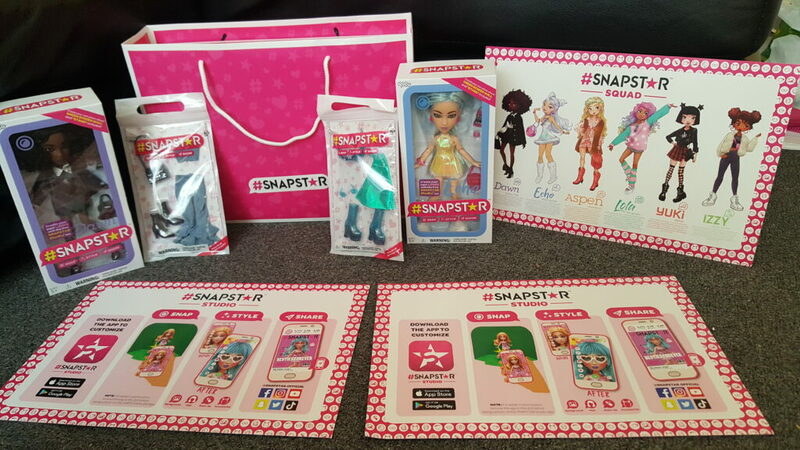 The #SNAPSTAR dolls can be purchased at Walmart and retail for roughly $19.98 CDN. Make sure to follow the #SNAPSTAR Squad on Instagram, Twitter, Facebook and Snapchat. Sharing your creations? Make sure to tag it with #SNAPSTAR so that others can find your designs. Disclosure: I received the above mentioned products in order to facilitate this review. All opinions are my own and those of official tester, my niece. I have worked extremely hard to reach my fitness and body goals and while I am happy where I am, it is important to constantly watch my nutrition and fitness and re-evaluate my goals every few months. Even with constant monitoring of my nutrition through apps and working out at my gym, it can be quite difficult to reach those final fitness goals, or a few pounds can easily creep back on (especially around holidays that just passed and stressful periods at home or at work) or even those areas that just won’t respond to exercise. There are many of us who have stubborn pockets of fat – this is common and normal but unfortunately no matter how hard we work out both at the gym and in the kitchen, these areas will not go away. Linda helped address my anxiousness before I even vocalized some of my concerns. She showed me each applicator, how and why an applicator was chosen, the machine and the basics of how the procedure would work. 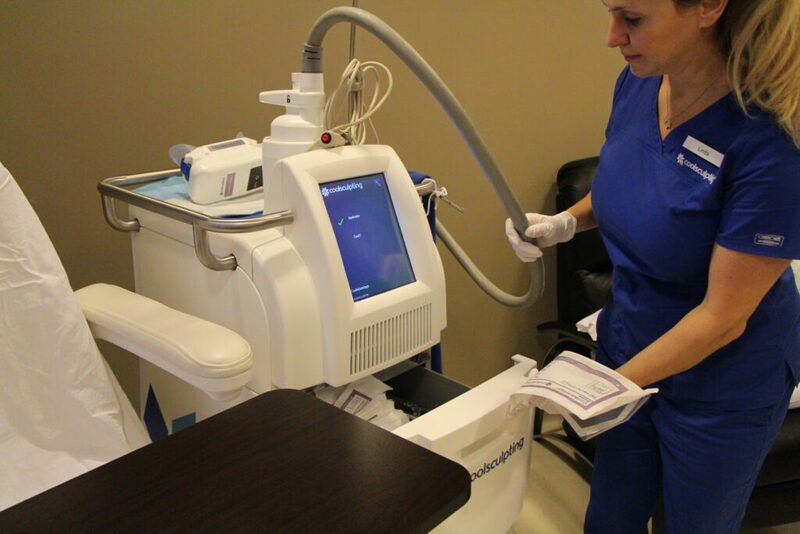 The overview of the machine and the procedure, gave me that confidence I needed to start the treatment. Linda had me undress (I was treating my flanks so I shimmied down into my underwear and sports bra – for those of you who are heading into your first treatment –make sure to wear something comfortable, loose and a sports bra is a must) and put on their disposable blue shorts. 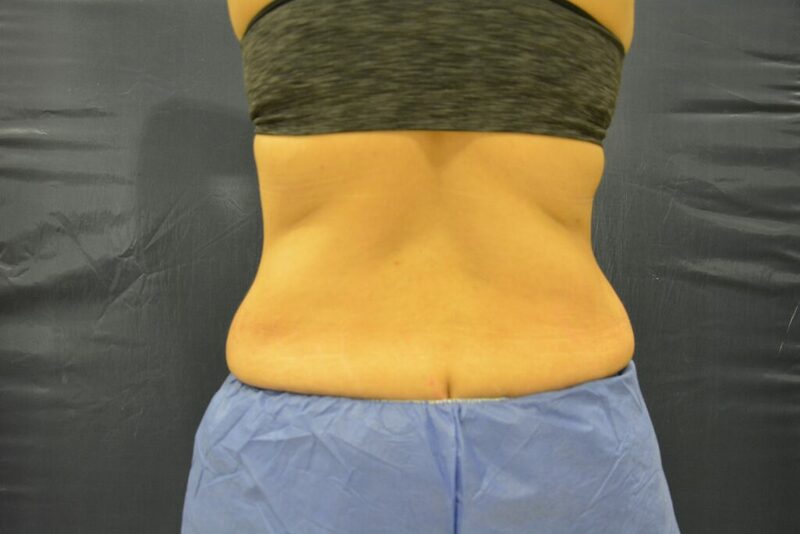 Using the CoolSculpting® markers and a washable marker, Linda marked the treatment areas on my flanks that she would apply the applicators too. 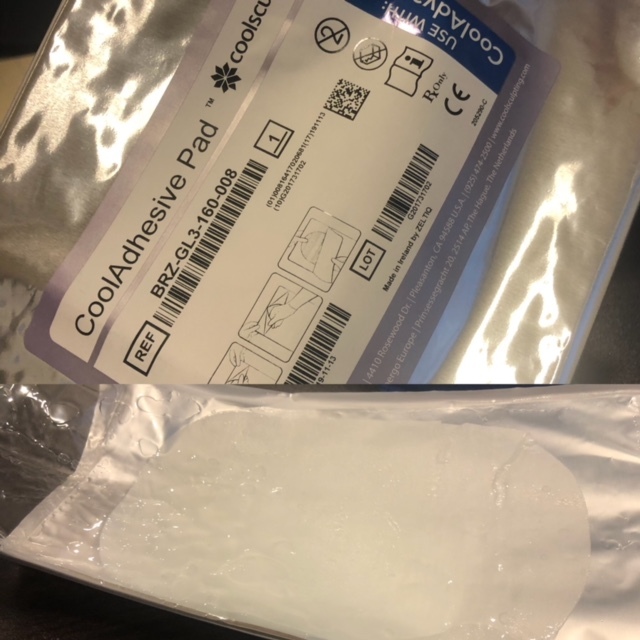 When my treatment areas were marked and I was ready to begin treatment, Linda applied a cool, gel-like material over the treatment area (CoolAdhesive Pad shown above). She explained that this was used to protect the skin during the treatment from the cold temperatures which reassured me that my skin would be protected during the entire procedure which was one of my fears. I was still quite nervous for what the cold temperature would actually feel like even knowing I had that protective layer in between my skin and the applicator. I am a huge baby when it comes to being cold (as I am typing this in my office, I have a foot heater on my desk blowing to keep me warm!) so you can imagine my fears! She then began the cooling process with the machine with a press of the button. It began to slowly cool my treatment area and I felt some tingling at first but this sensation quickly went away. It was cold at first but this cold sensation also went away within the first five minutes. I expected a little bit more of an ache or pain but I did not experience any of that, she explained that the area usually becomes numb quickly after treatment begins (please bear in my mind that every individual has different pain tolerances so the experience that I had may not be the same as yours). After a few minutes of the initial applicator cooling, Linda applied the second applicator. Each of my treatment areas (a total of two) took a total of thirty-five minutes to treat. Linda worked to make me as comfortable as possible during the procedure which was no easy task as we were treating my flanks and I had to remain upright in the chair with a slight tilt forward. She placed a u-shaped pillow around my back and brought a desk around for me so that I could place my notebook and kindle on and I also used it for support. I was constantly worried that I would make an awkward move and pop the applicator off and wouldn’t even realize it or ruin my treatment session. She assured me that the system would alert her if the applicator moves and if this happened, the procedure would have to be started all over again as the machine will stop itself. Once my time was up, Linda removed the applicator and brought over another machine that would massage the area. After the ‘massage’ I was free to go with my next appointment ready to be booked. My skin was slightly red in the treated areas and felt cool to the touch but it did not hurt. I had a slight numb feeling to the area but this was only to the touch. I was able to hop back in my car and I drove right into work. I finished off my work day and even attended my son’s soccer practice that night. I had no pain, side effects or cramping feeling. The redness was gone about five hours after the procedure. Before I left my appointment, I asked Linda if I had to do anything specific to assist with optimal results and she noted that my body would naturally remove the fat cells through an inflammatory response over the next two to three months. [i] Talk about music to my ears! As a bonus, I am a Brilliant Distinctions Member which is a reward program for customers that use the following products: Botox Cosmetic®, Juvéderm®, Latisse®, SkinMedica® and Belkyra®. Each procedure earns you points that you can later redeem for savings on future treatments. 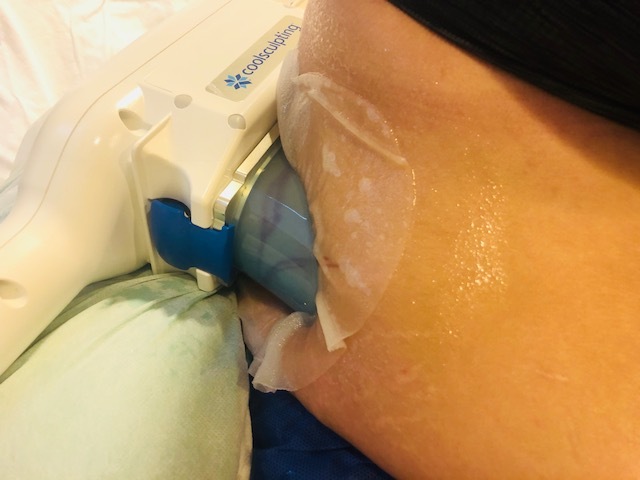 I have used this to save on the treatments that I do more frequently like Botox and Juvederm but it would be a fantastic way to save on additional CoolSculpting® treatments. Treatment plans and prices vary per person, which is why it is so important to ensure you book a consultation to go over your specific treatment plan. I made a follow-up with Linda to review my treatment and discuss the next steps in two and a half months. I can’t wait to share with you my results after treatment, don’t forget to check back in after a few weeks to see my results! Disclosure: I received the above-mentioned CoolSculpting® procedure in order to facilitate this review. All opinions expressed are my own. [i] Klein KB, et al. Lasers in Surgery and Medicine 2009;41:785–90. [i] Zelickson B, et al. American Society for Dermatology Surgery 2009;35:1462–70. [i] Zeltiq Data On File. 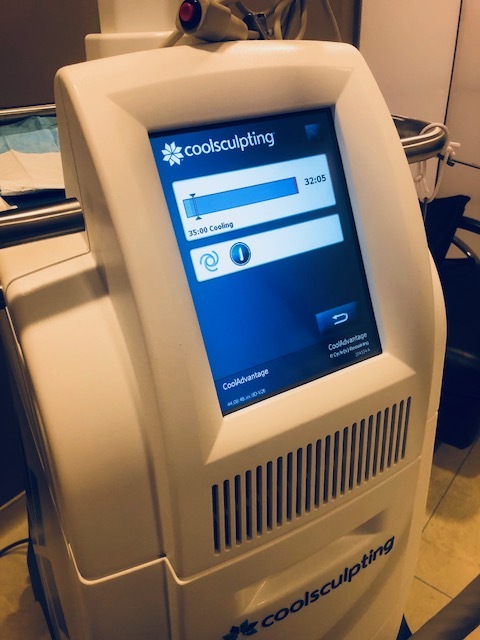 About CoolSculpting. 2017. In a race against time and beasts, Zeus and his friends must find a way to survive not only the toxin ravaging Zeus’ body, but also the giants who grow stronger after every attack, and somehow make it to The High Court alive. This is the exciting sequel in this new series by Chris Ledbetter. I could not put this book down as I had to know what happens next to our young heroes. 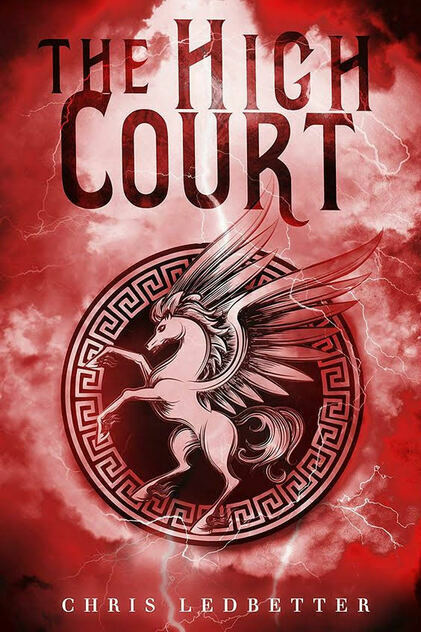 In this book, we have our young heroes and future Olympians that we all know and love, preparing to testify in The High Court against Hyperion and Kronos for the crimes that they committed in the first book. The book jumps in where the story left off, so I would strongly suggest reading the first in this series (you can find my review here). If you thought our characters would get an easy ride – no way. They face struggle after struggle in this book. It seems that someone would do anything to stop them from reaching The High Court to stand against Hyperion and Kronos. Enemies are at every turn and it is hard to know who to trust. They face multiple challenges with strength, wisdom and resilience. When it looks as though they may fall apart, they rally around each other and protect each other. I loved the character development in this book. We are getting to really know and understand what makes each of the Olympians tick and how they developed into the Gods we know. Zeus is becoming the leader and I love watching him grow in maturity and wisdom. He constantly puts the needs of others ahead of his own. I am excited to see where the third installment will take this young group. This is a perfect book for young adults and adults alike as you will enjoy the suspense, challenge and humour throughout. You can purchase a copy of this book on Amazon, Barnes & Noble, Walmart, Ebay and Indiebound. Chris Ledbetter is an award-winning author of short fiction and novels for young adults. “Jason’s Quest,” a short story retelling of the Jason and Medea Greek myth was published in the anthology, Greek Myths Revisited. His first full-length novel, Drawn earned him two awards, Library of Clean Reads Best YA 2015 and Evernight Publishing Readers’ Choice Award Best YA 2015, as well as a USATODAY “Must Read” recommendation. His second novel, Inked, concludes that duology. The Sky Throne is his newest young adult novel. He’s a proud member of SCBWI (Society of Children’s Book Writers and Illustrators) and a strong supporter of the Need for Diverse Books. He now writes and lives in Wilmington, NC with his family, including three cats. The History Book makes 4,000 years of history accessible and provides enlightenment on the forces that shaped the world as we know it today. 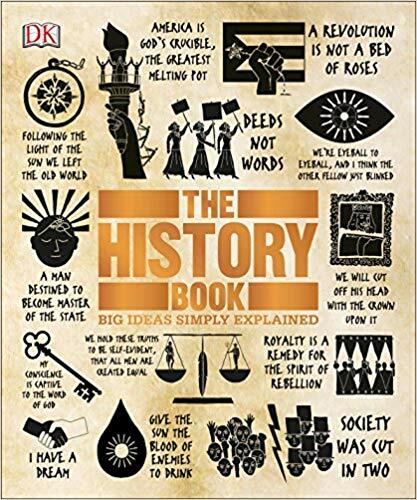 The History Book is a journey through the most significant events in history and the big ideas behind each one, from the dawn of civilization to the lightning-paced culture of today. One hundred crystal-clear articles explore the Law Code of Hammurabi, the Renaissance, the American Revolution, World War II, and more, bringing the events and people of history to life. As part of DK’s award-winning Big Ideas Simply Explained series, The History Book uses infographics and images to explain key ideas and themes. Biographies of key leaders, thinkers, and warriors, from Julius Caesar to Barack Obama, offer insight into their lives and further historical insight into these world-changing episodes. Perfect for a student or armchair historian, the clear explanations of ideologies behind events that have shaped our world into what it is today. One of the reasons I love history so much is that I love to see what makes people think, why and how we have evolved in our cultures and how we have come to where we are today. Each step through history gives us insight and is fascinating. This incredible hard cover book covers 4000 years of history in a creative, interesting and engaging manner. While packed full of information, timelines and some photos, it in no manner leaves you feeling overwhelmed or wanting to give up. The book follows a natural progression that encourages you to dig deeper and helps to bring these civilizations to life. The book is organized into different sections that includes: Human Origins, Ancient Civilizations, Medieval World, Early Modern Era, Changing Societies and The Modern World. You can read the book in order or skip ahead to your favourite time period (I am a personal fan of the Medieval time period!). What I found really unique and that I enjoyed, is this book contains many well known and less well known quotes (George Washington, William Sherman, Thomas Fowell Buxton and many more). It also utilizes page flow, boxes and arrows to explain how certain actions affected the land and people. This is great read for young adults and adults alike who love to learn about the world and people around them and those who came before us. It is an excellent stepping stone to further their education and broaden their knowledge around events that changed society. You can purchase a copy of this book on Amazon and Indigo.